The White Dog Blog: Olympic hopes dashed?? I had a plan, puppers. I was going to start training for the Olympics. Finally, my chance for fame and fortune. Surely if I started training today I could take the gold in dog-paddle, yes? 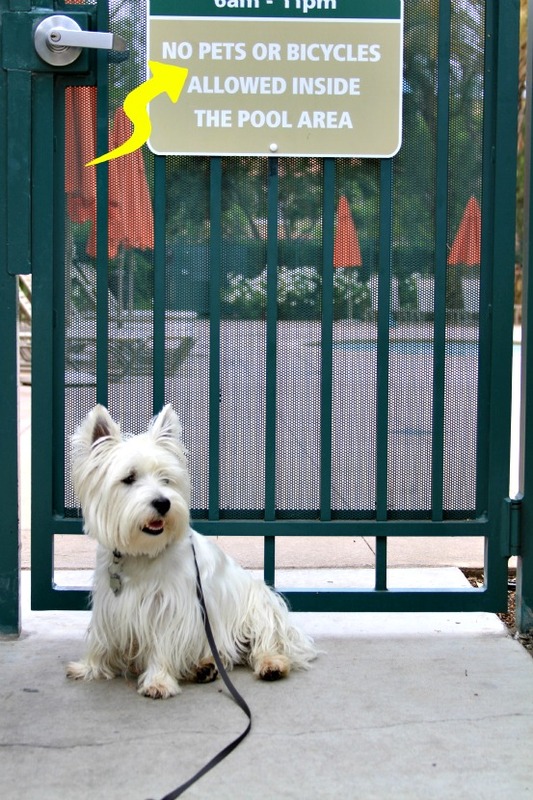 No dogs are allowed in our neighborhood pool Olympic Training Center. Anybody got a pool I can borrow??? Hi Pups, I don't have a pool, but there are many lakes here in northern Colorado that you'd be welcome at. Our Hunter doesn't like water so I don't think he'd go in with you. Good luck-I think you're a winner even without the medal. We have a pool but are hoping to get some good pics this weekend when we go camping cuz there's a creek there! Thats a bummer!! Maybe you can use the bathtub?? Just a thought!! Oh I swim in a gigantic pool. Look for my pic in the Bloggieville Olympic swimming entries.